Freedom Gymnastics is located at 116 Pilgrim Way, just off Route 115 in Brodheadsville, PA (across from the Library) in the Pocono Mountains. We teach recreational gymnastics, competitive gymnastics, tumbling, and obstacle training in our fully heated and air conditioned 14,000+ sq/ft facility. At Freedom Gymnastics our mission is to provide a safe, positive, and challenging environment where we can help both children and adults physically and mentally improve and develop. We offer a variety of classes that introduce new students to gymnastics skills and build on those skills to learn more advance moves and techniques. Our girls recreational classes are a great way to try out the sport, learning skills in each of the 4 events (Floor, Beam, Bars and Vault). We have also expanded our recreation programs and now offer separate classes for boys gymnastics, teaching each of the 6 men's events (Floor, High Bar, Pommel Horse, Parallel Bars, Rings and Vault). 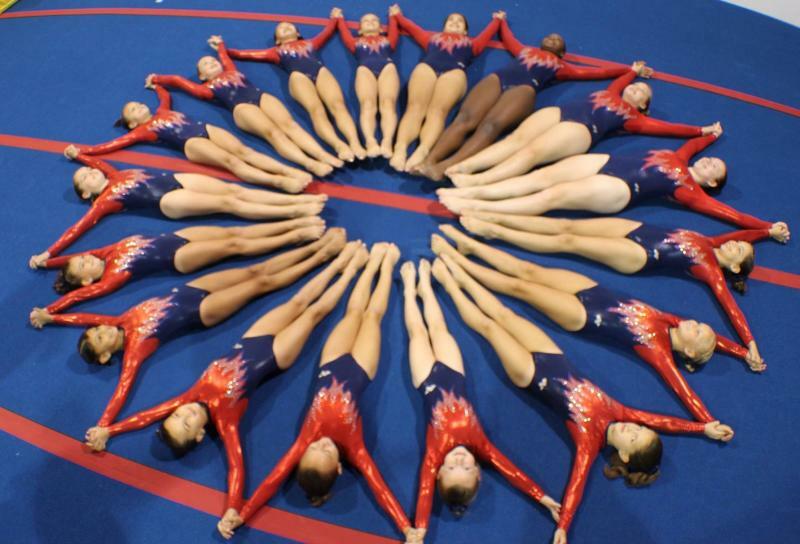 If you like the intensity of competition we have a USAG competitive gymnastics team. If you are part of a cheerleading or dance team and want to improve and develop skills, we offer tumbling classes as well as back handspring and aerial clinics. Clinics are open to both members and non-members. You don't have to wait for a new session to sign up for a class. You can join a class at any time during a session. The cost will be prorated based on the number of classes remaining in the session. 18mths - 3yr olds Adult & me classes. 4/12/19 Aerial Clinic on 4/13/19 has been cancelled. you don't need to be a member of the gym to participate, but you must already be able to perform a standing backbend kick over. NO walk-ins as we like to keep the total number of participants to 10 so that everyone gets the attention they need. Must call and pay with a credit card over the phone or stop by the gym to pay! **A registration form must be brought in signed by the parent/guardian, or on file(within the last year) in order to participate! you don't need to be a member of the gym to participate, but you must already be able to perform a strong cartwheel. **A registration form must be brought in and signed by the parent/guardian, or on file (within the last year) in order to participate!